You are now visiting Danish Cultural Institute in India See where else we work Created with Sketch. Born and raised in the USA, Indian heritage, studying in Denmark, starting up an NGO in Guinea-Bissau. Alo Wala, real name Shivani Ahlowalia, is the very essence of the global citizen. Artistically, her sound and visual style is marked by the same vibrant richness. ALO WALA is a self sustaining music and performance art project based in Denmark, that represents multiculturalism on the global scene. ! ALO WALA is the sound of a new Europe, a new world, and a new way of thinking about one another as belonging to an interconnected global society. Today in a time when dancehall and hip hop informed culture has taken hold worldwide, local club DJs, multi-lingual rappers and bedroom producers are coming into their own and becoming leaders of a new generation. ! ALO WALA is one of the very bright lights of this movement.! Only 4 years young ALO WALA has travelled the world and played hundreds of legendary festivals and venues including Glastonbury – UK, Roskilde Festival – DK, Sines – Portugal, Dour Festival – Belgium, Electric Brixton – UK, Webster Hall – US and Sunburn – India, to audiences of several hundred thousands. ! 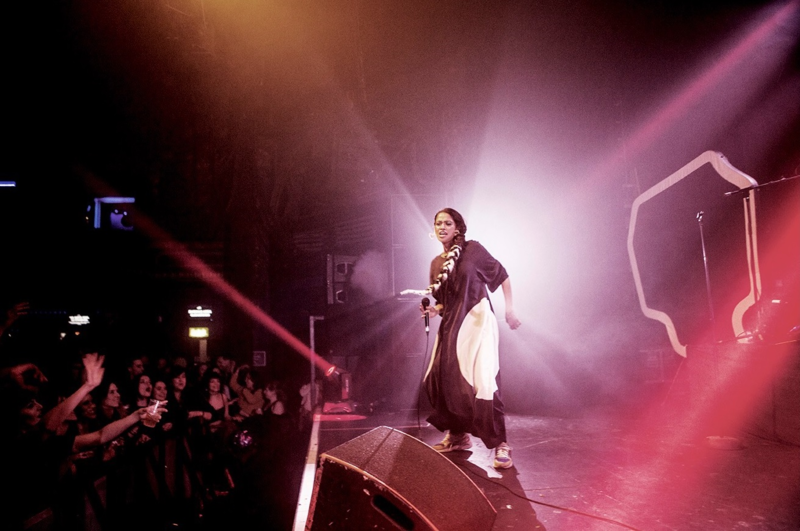 ALO WALA, meaning “The light vendor” in a Bengali and Hindi melange, is Chicago-born rapper, Shivani Ahlowalia. More than a bedroom vocalist rapping over sample-based rhythms from foreign lands, ALO WALA’s debut EP, CITYBOY (Enchufada Label), is marked by a lifetime of journeys. Having lived in the USA, India, Guinea-Bissau, Spain and Denmark, ALO WALA brings profound universal insight into the studio. When her hypnotic flow met with the Danish production unit: Julius Sylvest & Copyflex from Copia Doble Systema, known for experimenting in everything from reinterpretations of traditional Cumbia to Italian Gangsta Rap, a wellinformed galactic soundtrack for our globally mobile age was created.! Want to share your ideas or suggestions? You are welcome to contact us! © 2019 Danish Cultural Forum. All rights reserved.